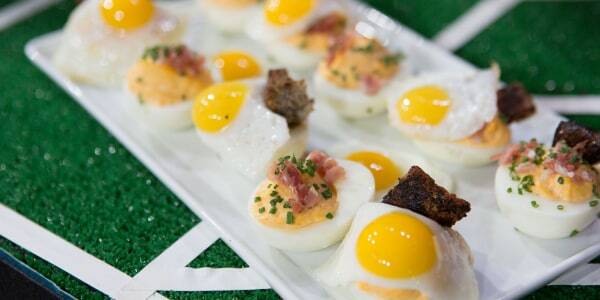 From bacon-topped deviled eggs to eggs with a cool and creamy avocado filling, these recipes will win over any party crowd. 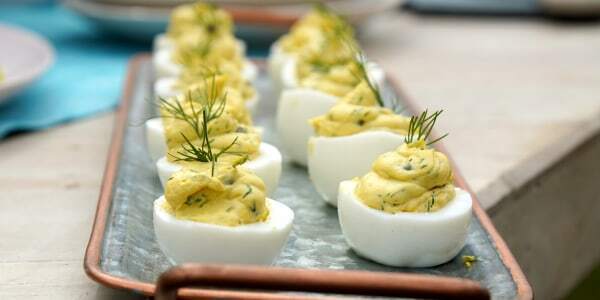 Whether you're planning a last-minute get-together or your party has been on the books for weeks, you can't go wrong with deviled eggs: They're a sure thing for easy spring entertaining. Deviled eggs can usually be whipped up with what's already in the fridge, but there are plenty of unique ways to give this classic dish a makeover with crispy bacon, creamy avocado or spicy peppers. 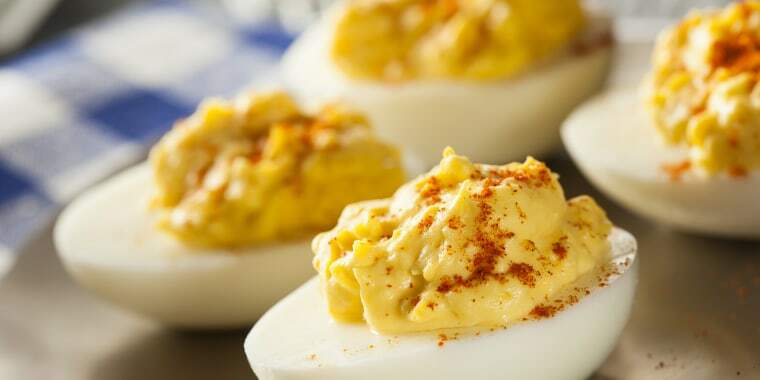 While some might follow a trick or two to make the perfect deviled egg, they always come together in just a few easy steps. 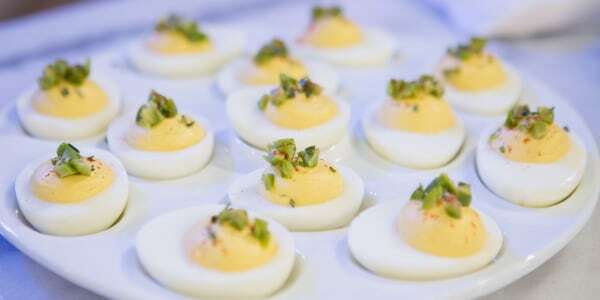 No matter how you make 'em, these savory little gems will wow guests at any shower, barbecue or Easter brunch. 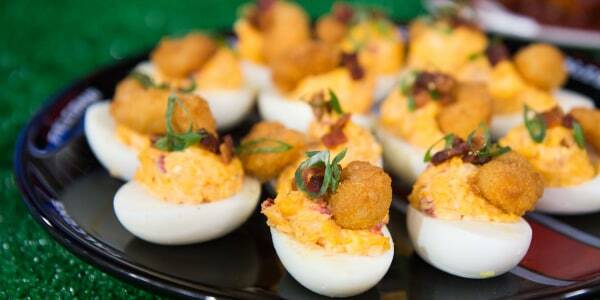 Not a deviled egg eggs-pert, yet? Start with the basics. This classic recipe for deviled eggs will serve a party of 24. To avoid messy hands, try snipping the corner of a plastic storage bag to create a pipe for perfectly-placed filling. 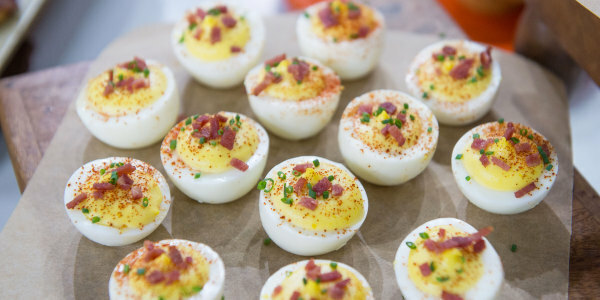 Chef Ryan Scott's Heavenly Deviled Eggs give a smoky edge to a party favorite with turkey bacon, chives and paprika. Green eggs aren't just for Dr. Seuss. 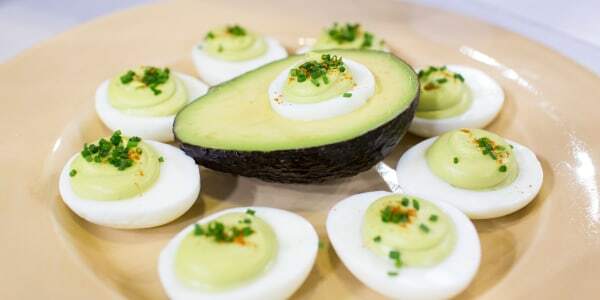 It's hard to resist deviled eggs dressed with with an avocado-lime filling. This Southwestern spin on a classic was created by Al Roker's daughter, Courtney. 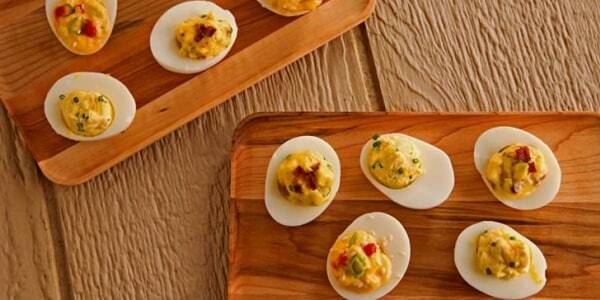 Looking for a richer take on deviled eggs? Add some pimento cheese. The recipe calls for making pimento cheese from scratch, but you can also use store-bought if it's available at your grocery store. Upgrade classic deviled eggs with olives, which also give the dish a healthier boost: they're loaded with vitamin E and additional healthy fats. 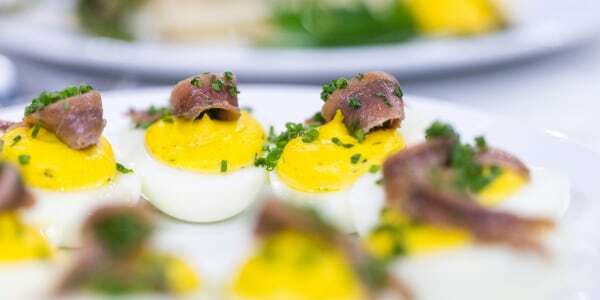 Impress guests with these savory, inventive deviled eggs. With this recipe, you get the creamy goodness of a traditional deviled egg, combined with the rich, runny yolk of a fried egg — all in one tasty bite. This dish loaded with antioxidants and healthy fats. Rosemary has been shown to increase blood circulation to the brain and contain anti-inflammatory compounds that support your immune system. Plus, anchovies are loaded with omega-3 fatty acids. These are the perfect starters for any occasion — and they go great with Champagne. The briny capers and fresh dill complement the rich, creamy yolks perfectly.